While waiting for fares at Lisbon Airport, taxis used the airport parking facilities and were occupying spaces that should have been generating revenue. A shaded canopy area of Italian design was created for the waiting taxi drivers, complete with café and toilet facilities. 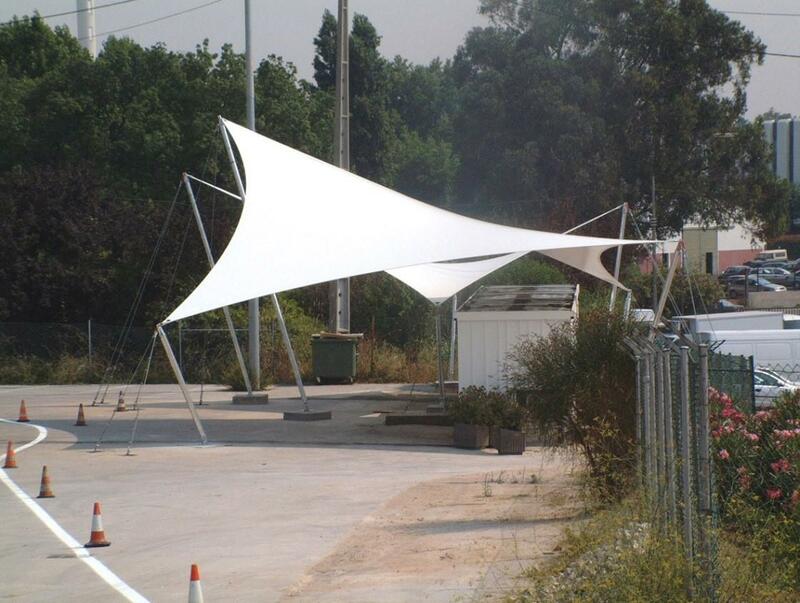 This tensile structure required a reliable means of securing it to the ground. 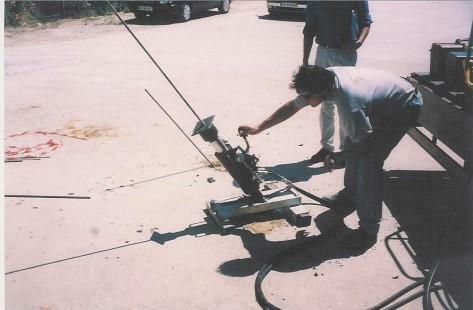 Mechanical ground anchors, supplied by ICQ, the Anchor Systems distributor in Portugal, were chosen as the preferred means of anchoring the structure. 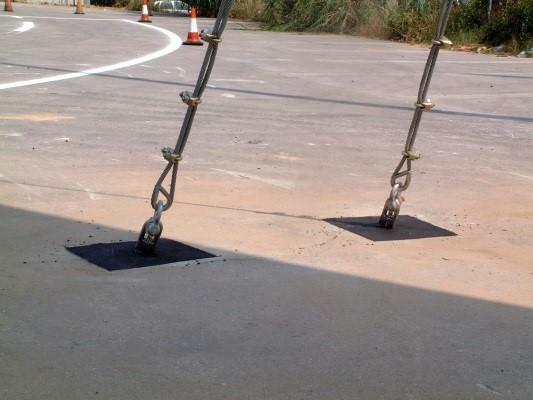 ICQ used its in-house facilities to produce the design installation for the 22 stainless steel mechanical ground anchors. 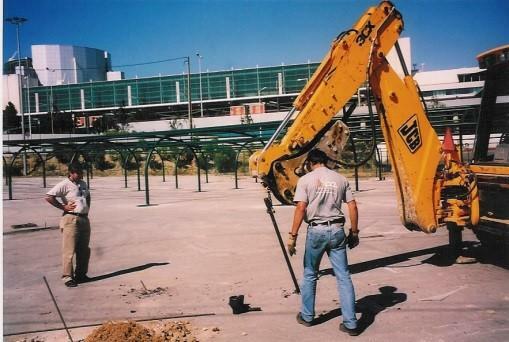 Using a JCB and power hammer, the anchors were driven up to 3m into the ground, encountering various obstructions on the way. They were then loaded to 30kN working load, with some up to 75kN. 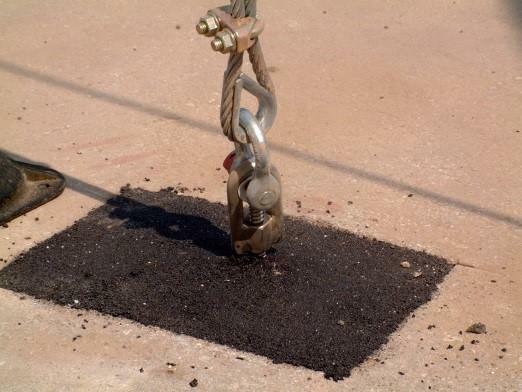 The top of each anchor was fitted with a stainless-steel eye nut to which the structures’ cables were secured using a shackle. To isolate the different metal components a nylon separating thimble was also fitted. The attractive new canopy is now fully secured and providing a special shaded waiting area for Lisbon’s taxi drivers opposite a dedicated taxi rank.